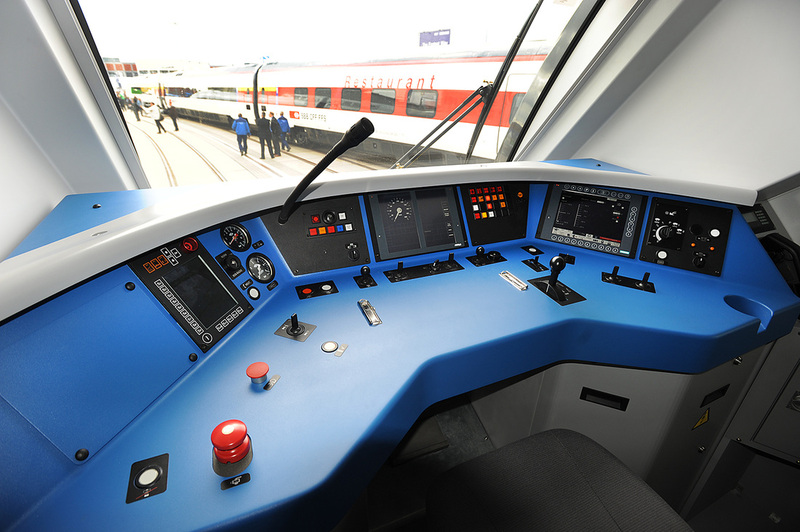 Koncar of Zagreb built low-floor EMU for use in Croatia. 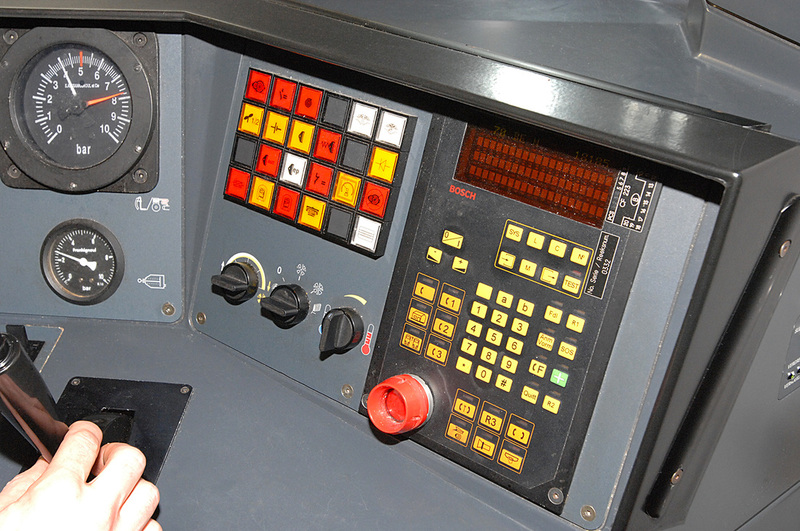 September 2010. 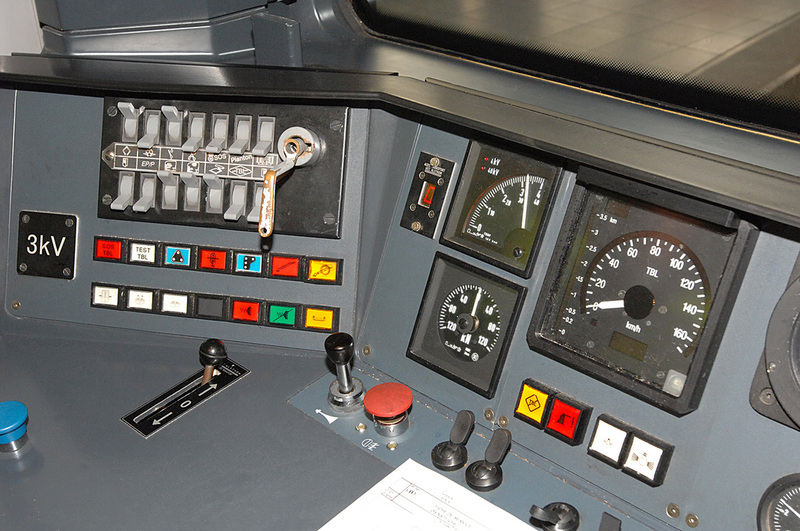 Above: SNCB Class AM08, set No. 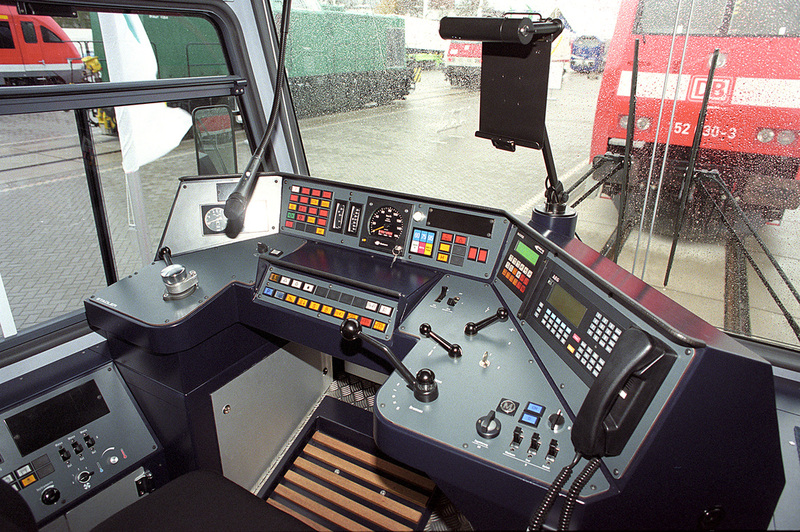 08503. 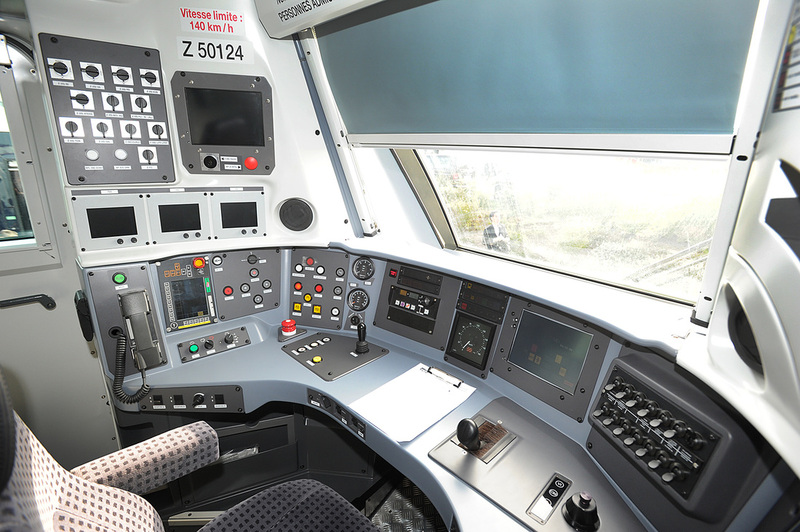 Above: French Railways SNCF / Bombardier Francilien EMU based on the Bombardier 'Spacium' platform, Vehicle No. 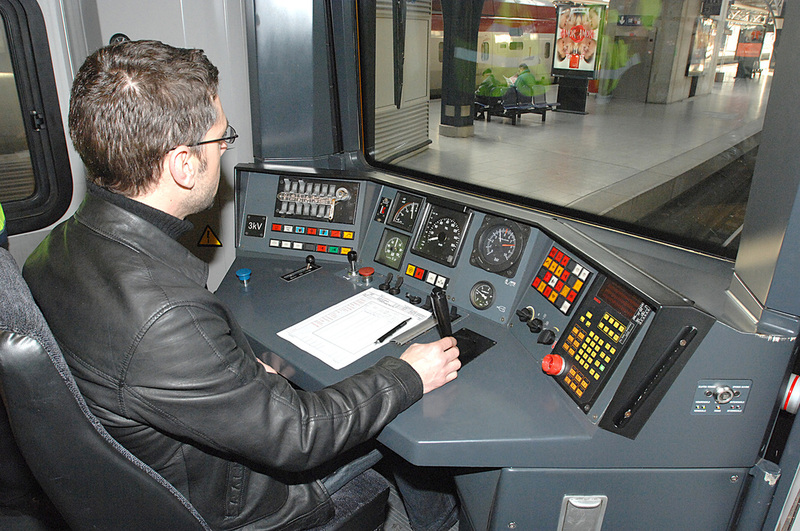 Z50124 illustrated for the Ile-de-France Region. 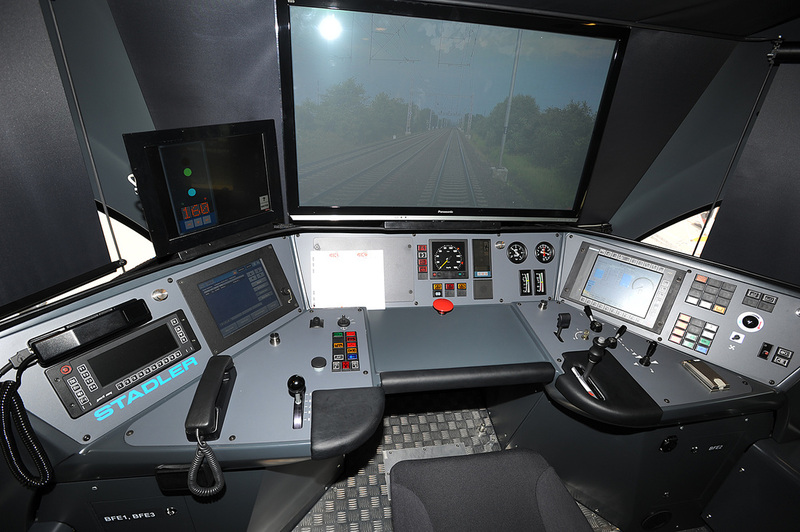 Above: Stadler 'Flirt' cab, set up as a simulator with a screen in the window position. 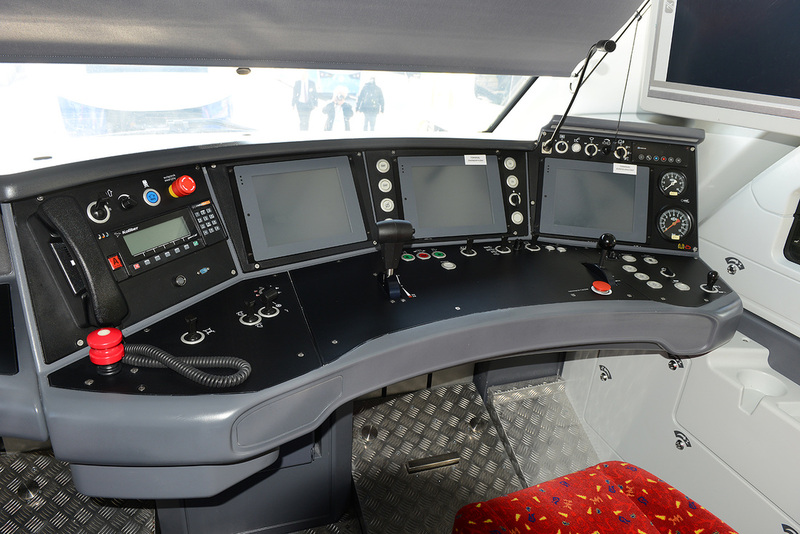 This cab is set up for the Leo Express operation in the Czech Republic. 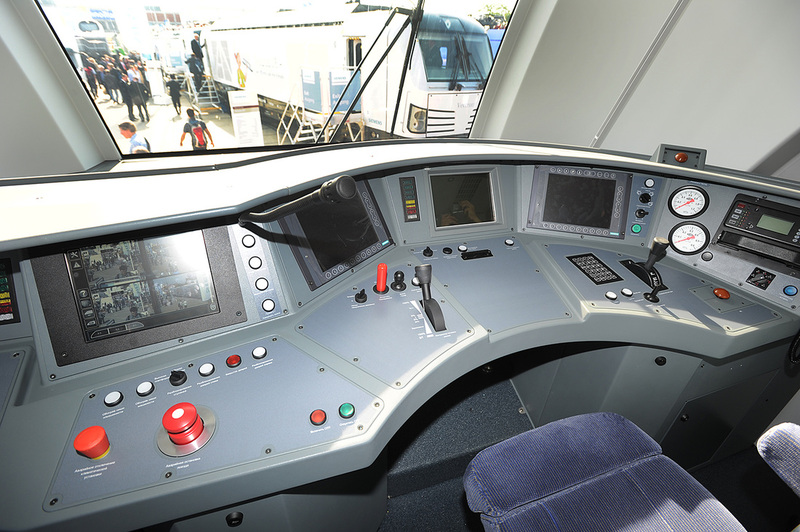 Above: Broad gauge Siemens Desiro electric commuter and regional train developed for Russian railway RZD, which calls them Lastochka. 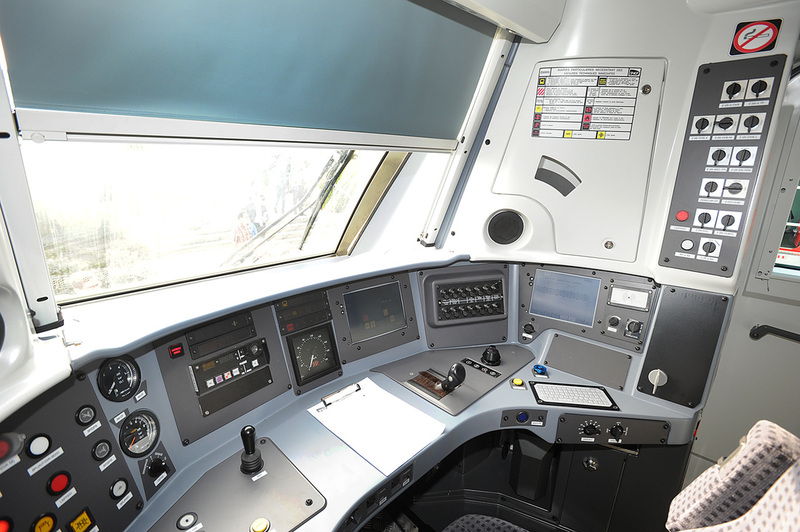 Above: Newag-built Class 36WEa - 'Impuls' EMU for use in the Warsaw area of Poland. 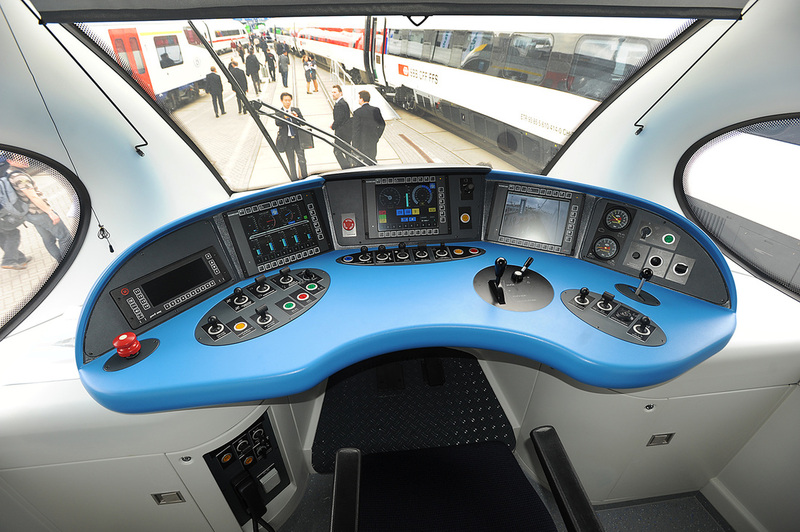 Above: Stadler Rail 'Thurbo' 526 682-0, operating in the St Gallen Region of Switzerland.